Ruth Turner, the daughter of the successful architect, Hugh Thackeray Turner, and Mary Powell Turner, was born in 1892. The Turner family were close friends of William Morris. The family lived in an elegant mansion, Westbrook House, in Godalming. Ruth attended Prior's Field, a free-thinking school founded by Julia Huxley, the mother of Aldous Huxley. In 1907 Mary Powell Turner died of pneumonia. Ruth, who was only 15 years old at the time, became a devout Christian after her mother's death. Ruth met George Mallory at a dinner held by Arthur Clutton-Brock in 1913. The following year, Hugh Thackeray Turner invited Mallory to join him and his three daughters on a family holiday in Venice. The couple fell in love after a trip to Asolo. Ruth wrote to George after she arrived back in England: "How wonderful it was that day among the flowers at Asolo!" 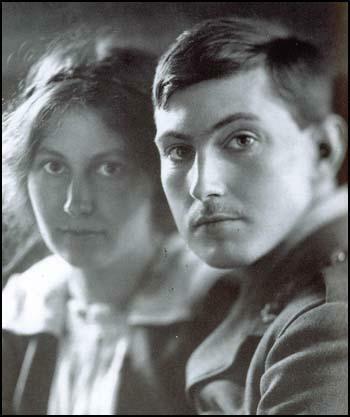 Ruth became engaged to George Mallory in April 1914. On 18th May George wrote to Ruth: "it's too too wonderful that you should love me and give me such happiness as I never dreamt of". Seven days later he was writing: "Oh! my arms are aching dear for you - to draw you swiftly and firmly close to me." George told his brother, Trafford Leigh Mallory, that he intended to marry Ruth Turner. He replied: "This is good news indeed. I am very pleased to hear it; heartiest congratulations! I must say I was extraordinarily surprised. However I suppose the influence of spring and Italy, combined with meeting the right person, fairly laid you by the heals." Ruth married George Mallory on 29th July 1914. Her father, Hugh Thackeray Turner, provided her with an annual income of £750 and arranged for them to live in a house close to the family estate in Godalming. The couple went to Porlock in Somerset for their honeymoon. Mallory was deeply shocked by the outbreak of the First World War. He believed strongly that international disputes should be solved by diplomacy. 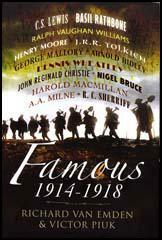 However, some of his friends, including Robert Graves and Rupert Brooke, did join the British Army. After the death of Brooke in 1915 he decided to join the Royal Artillery. Ruth wrote to her husband on 10th August 1915: "I wonder dear how much we shall keep up with the times and be able to be proper companions for our children. Lets try and remember that they must educate us as well as we educating them then I think we may not go so far wrong, we mustn't hate every new thing that comes along until its got old." On 19th September 1915, Ruth gave birth to a girl who they named as Francis Clare. George had wanted a boy and he wrote to a friend: "I can't claim any great interest at present (in my daughter)." Some of George's favourite students joined the British Army. He wrote to a friend that losing them was "like cutting off buds". Mallory could no longer accept the idea that these young men should be fighting on his behalf and despite the protests of Ruth and his headteacher he decided to join the Royal Artillery. He wrote to a friend: "I feel so mixed up when I think of it - not wanting perfect safety for my own sake because I prefer adventure and want anyway to share those risks with my friends; but thinking so very differently where Ruth comes in. I'm afraid she'll feel very sore when I'm out there." On 4th May 1916 Second Lieutenant George Mallory was sent to the Western Front. That night Ruth wrote to her husband: "I think I must write to you tonight it makes me feel less far from you. I am alright dear. I am cheerful and I have not cried anymore. I had baby as soon as I got home till she went to bed and it was very comforting. She is more of a comfort than anything else I could have." Mallory replied that her letters were like "great shafts of light which come pouring in on me". Mallory was assigned to the 40th Siege Battery, then position in the northern sector on the Western Front. That summer he took part in the Somme offensive. He wrote to his wife about the bombardment that took place before the infantry attack: "It was very noisy. Field batteries again firing over our heads (of course there are plenty in front of us too) and most annoying of them a 60-pounder which has a nasty trick of blowing out the lamp with its vigorous blast." Ruth felt that she also needed to do something for the war effort. For a while she worked at a goods depot near Godalming but had stopped doing so because she was afraid she might catch an illness or infection that would be transmitted to Clare. Lieutenant Mallory went on leave in December 1916. When he returned to the Western Front he became a liaison officer to a French unit. He wrote a letter to his wife about the conditions on the front-line: "The surroundings are indescribably desolate and dotted with small crosses. We haven't many dead in the trenches (at least only one decapitated unfortunate has been discovered below the surface) but those outside could well do with some loose earth over them." A second daughter was born on 16th September 1917. The child was named Beridge Ruth, however, for most of her life she was known as Berry. In May 1917 George was forced to return to England to have an operation on an ankle injury that made it very difficult to walk. In September 1917 George Mallory was sent to Winchester to train on some new guns. He was later sent on a battery commander's course in Lydd. Mallory returned to the Western Front in September 1918. He joined 515 Siege Battery RGA near Arras. His commanding officer was Gwilym Lloyd George, the son of David Lloyd George, the prime minister. He was with the company when the Armistice was declared on 11th November 1918. George Mallory served in France until January 1919. He returned to teaching history at Charterhouse and revived the college mountaineering group. Of the original sixty members, twenty-three had been killed and eleven more wounded. In 1921 Mallory was invited to join a reconnaissance expedition to Mount Everest. The following year he took part in an attempt to reach the summit, but the group was forced back by bad weather. However, Mallory and his colleagues reached a new world record altitude of just under 27,000 feet, a feat achieved without oxygen. Mallory was asked why he wished to climb Mount Everest and he replied: "Because it is there." George Mallory was considered to be the best mountain climber in the world. Harry Tyndale, who climbed with Mallory, argued: "In watching George at work one was conscious not so much of physical strength as of suppleness and balance; so rhythmical and harmonious was his progress in any steep place ... that his movements appeared almost serpentine in their smoothness." Geoffrey Winthrop Young added: "His movement in climbing was entirely his own. It contradicted all theory. He would set his foot high against any angle of smooth surface, fold his shoulder to his knee, and flow upward and upright again on an impetuous curve." Mallory joined another expedition to Mount Everest in 1924. Approaching his 38th birthday, he considered that this would be his last chance to climb the world's highest mountain. Mallory and an excellent young climber, Andrew Irvine, set off from the highest camp for the top on 8th June. Both climbers were seen by Noel Odell through a telescope on the mountain's northeast ridge, only a few hundred metres from the summit. They never returned to high camp and died somewhere high on the mountain. Robert Graves argued that "anyone who had climbed with George is convinced that he got to the summit." His close friend, Geoffrey Winthrop Young was also convinced that he conquered Everest. He wrote: "After nearly twenty years' knowledge of Mallory as a mountaineer, I can say that difficult as it would have been for any mountaineer to turn back, with the only difficulty past, to Mallory it would have been an impossibility." Tom Longstaff, who took part in the 1922 Everest expedition, added: "It is obvious to any climber that they got up.... Now, they will never grow old and I am very sure they would not change places with any of us." Ruth moved back to Westbrook House with her three children to live with her father, Hugh Thackeray Turner. John Mallory later pointed out that his mother: "She made a conscious decision not to over protect us" and took them on climbing holidays. After the death of her father in 1937 the house was sold and Ruth lived with a cousin. In 1939 Ruth married her friend Will Arnold-Forster after the death of his wife. Clare Millikan reported that her mother was "glowingly happy" but sadly she died of cancer in 1942. Her daughter, Berry Robertson, also died of the disease in 1953. Clare Millikan's husband, Glenn Millikan, died in a climbing accident in Tennessee in 1947. John Mallory's son, George Mallory, climbed Mount Everest in 1995. It really seems as though we have given the Hun something of a whacking and also that his reserves are pretty well used up. Shall we find suddenly one day that the war is over - finished as dramatically as it began? Not a very near day I fear - or rather I don't dare to hope. Before I went to sleep I heard distinctly from the murmur of voices in the tent some mention of our troops being shelled out of a trench by our own guns... I can't tell you what a miserable time I had after that. You see, if my registration had been untrue, it was my fault... I went over and over again in my mind all the circumstantial evidence that it was really our shells I had seen bursting and had horrid doubts and fears. I wonder dear how much we shall keep up with the times and be able to be proper companions for our children. Lets try and remember that they must educate us as well as we educating them then I think we may not go so far wrong, we mustn't hate every new thing that comes along until its got old. I think I must write to you tonight it makes me feel less far from you. I am alright dear. I am cheerful and I have not cried anymore. I had baby as soon as I got home till she went to bed and it was very comforting. She is more of a comfort than anything else I could have. I went up the steep way, through the little gate I showed you, after I left you. I could cry that way; I simply had to a little, you know. Then I leaned against the ivy wall and looked through tree twigs into the mist; and I tried to pray in silence, just getting near to God and to you and to everything. I don't think I did it very well, but I feel wonderfully soothed and better. In writing to Ruth, each or every other day, George Mallory went out of his way to stress that he was relatively safe, certainly in comparison with front line soldiers. To a certain extent, this was not a false reassurance. He could see that serving in a Siege Battery in the Royal Garrison Artillery meant he was less likely to be killed and wounded than in the infantry, and he regularly indicated to his wife how fortunate he was: "The chance of survival in my branch of the services is very large." He did reveal once, but only long after the event, that a bullet had passed between himself and another man walking feet in front of him. Yet his own position at the guns, although it by no means assured safety, did make him aware of the responsibility he owed to soldiers in the trenches whose survival was more tenuous, infantrymen whose lives he could save or take by the correct or incorrect registration of the guns under his direction. Mallory served in a number of roles within the battery but his favourite was as Forward Observation Officer, and he frequently made his way to the trenches, learning to live with the gruesome sights that he saw. On June 8, the day George was last seen alive, Ruth and the children were on holiday at Bacton, a seaside resort in Norfolk. On June 19 they were back at Herschel House. That afternoon in London, Hinks received a coded telegram from Norton that read: "Mallory Irvine Nove Remainder Alcedo." "Nove" meant that George and Irvine had died, "Alcedo" that the others were unhurt. It thus fell to Hinks to convey the news to Ruth. He composed a telegram that was handed in at the post office at Kensington and dispatched from there to Cambridge, where it arrived at 7:30 p.m.
Confusion must have compounded Ruth's sense of shock, for almost simultaneously, a reporter from The Times arrived at Herschel House. The Times, which was entitled to read all Norton's dispatches as part of its contract with the expedition, had been told about the deaths too. When challenged later to explain why it had sent a reporter to Herschel House, The Times claimed it was anxious to ensure that Ruth heard the news before reading in the next day's newspaper. The most immediate decision Ruth faced was when, and how, to tell the children. By then they were in bed, and she decided to postpone the moment until the morning. She left them in the care of Vi, and went for a walk with some friends. In the morning, so Clare recalled seventy-five years later, Ruth took her, Berry, and John into the bed she had shared with George. "She lay between us told us this bad news," Clare said. "We all cried together."